James’s paper entitled Imaging the Predicted Isomerism of Oligo(aniline)s: A Scanning Tunneling Microscopy Study has just been published online in the micro- and nanotechnology journal Small! The work was performed in collaboration with Prof. Heinrich Hoerber in Physics and Dr Neil Fox in Chemistry. 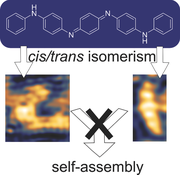 For the first time, we have directly observed the cis and trans isomers of tetra(aniline)s in the half-oxidised EB state. Our findings shed light on why oligo(aniline)s do not always self-assemble as easily as other materials, and how we could improve their properties. Yaozu’s paper in Macromolecules on novel porous materials based on perylene diimides and triazines have appeared online! This exciting work (in collaboration with Jens Weber) discusses the preparation of porous and related carbon materials, and their excellent selectivity and capability for CO2 uptake. Charl was invited by Dr Sebastien Clement, from the Institut Charles Gerhardt Montpellier‘s “Molecular chemistry and structuration of solids (CMOS)” group. 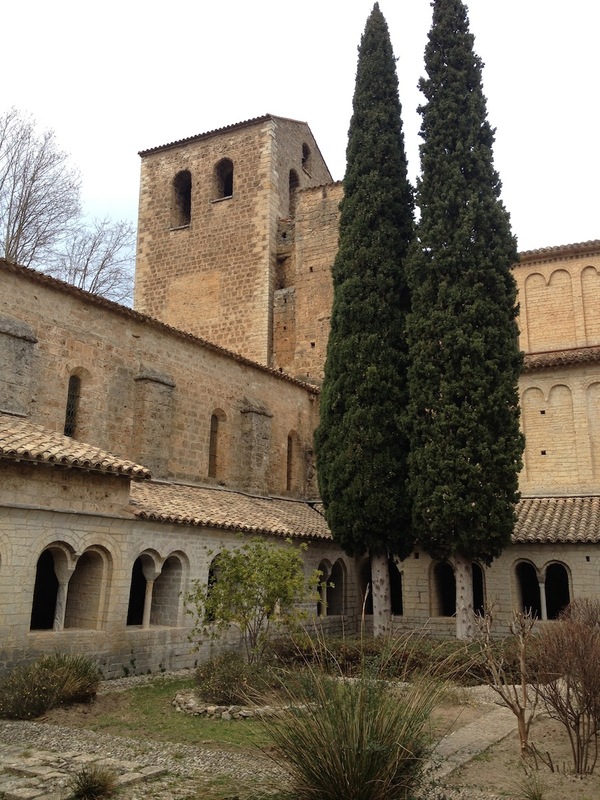 The ICG is affiliated with both the CNRS and the University of Montpellier. Charl gave a talk on Friday, and spent a very interesting day with Sebastien and his colleagues in the CMOS group. There were plenty of opportunities to discuss science and collaborations over good food and good wine in a very pleasant part of France over the rest of the weekend! The latest publication from the Faul group has just been accepted for publication in Macromolecules! The work by Yaozu focuses on microporous polyimides for CO2 uptake. 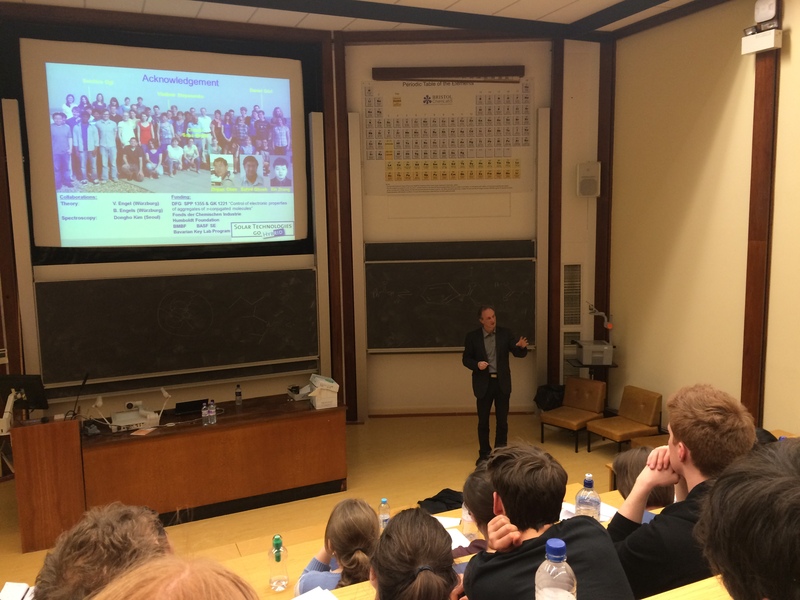 Frank, a professor of organic materials and nanosystems at the University of Würzburg, Germany, visited Bristol on 4th March to present his exciting work on perylene diimide materials and their supramolecular assembly. His lecture was preceded by a series of excellent talks by Bristol postgraduate researchers on topics from nanoparticle assembly at interfaces to the monitoring of micellular growth using the latest fluorescent techniques!